IDC Consult focuses on the market analysis of the West coast of Sweden as Tourist Destination. We research consumption behavior and tourist destinations since 2004. The Company has collaborated to develop commercial centers, hotels, restaurants and tourist operators. We provide reports for institutions and enterprises that work in the travel and tourism industry. We provide reports for institutions and enterprises that work in the travel and tourism industry. Quantitative and qualitative fundamental analysis to support a sale strategy mainly on business and leisure travelers market; main activities included financial-econometric modelling and business intelligence; focus on the west coast in Sweden. Data & reports based on hotels reviews for hospitality and travel industry. Tourist Destination, Market Analysis, Hotel & Restaurants, Travel & Tourism, Inbound-Outbound Tourism Modelling. Logistics, Creative, Arts, Sports & Culture. IDC Consult can perform different level of analysis, regarding to the clients necessities. Creative and pedagogical tools as basic instruments to scope process and screen the market. We manage big data and computable modelling. The teamwork can design mathematical algorithms to measure the market behavior focus on the west coast of Sweden as Tourist Destination. IDC Consult works together with experts to deliver relevant information to the Decision- Makers and Stakeholders. The Company offers a pedagogical approach to the customers; we develop legible information to the communication platform aiming efficiency and a comprehensive work environment. Assisting the expert group on travel and tourism facts, designing and conducting feasibility studies mainly on hotelier, restaurants and travel sector. Do you still believe that Mexico is in South America?  IDC Consult offers to the customers a perspective based on research and facts. Here are some of our collaborators. Do you have any questions? Please send us an e-mail. We'll be in touch as soon as possible.